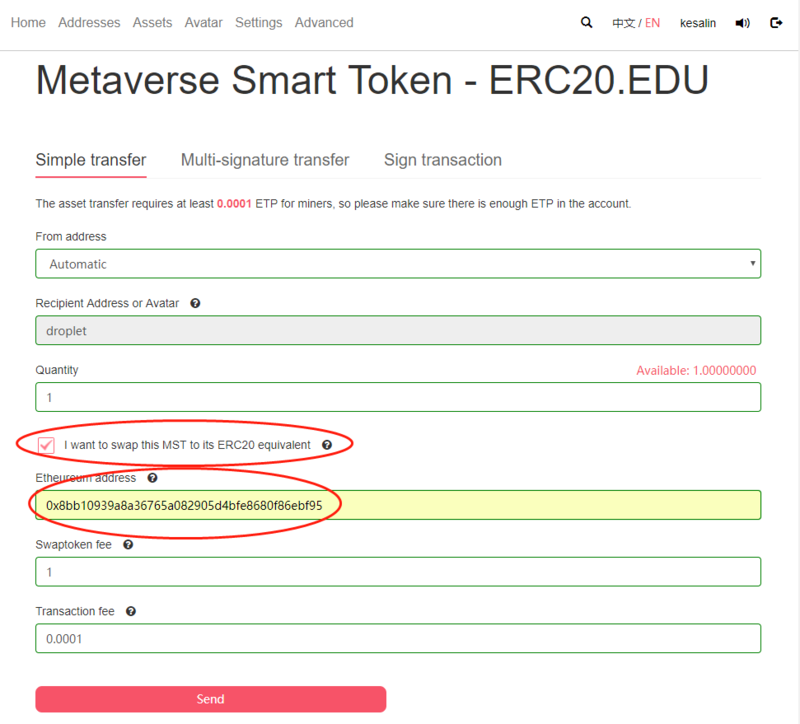 Cross-chain service enables to swap assets between Ethereum ERC20 tokens and equivalent Metaverse MST. 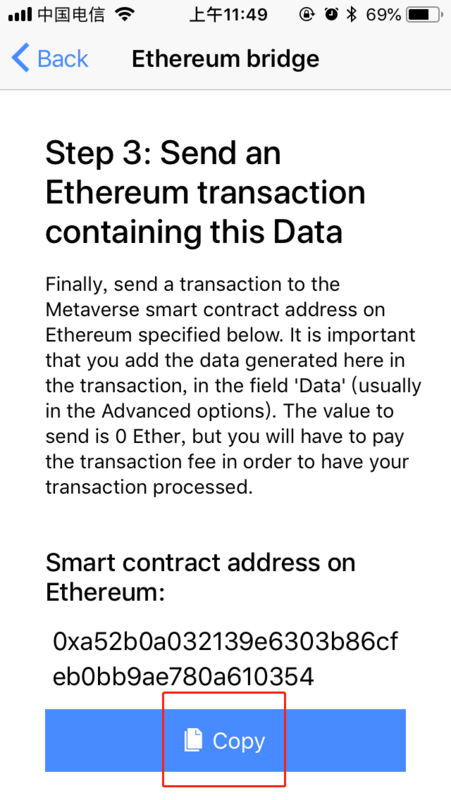 Open Ethereum wallet which supports sending raw transaction data, such as myetherwallet or imtoken，and start a ETP transferring transaction. 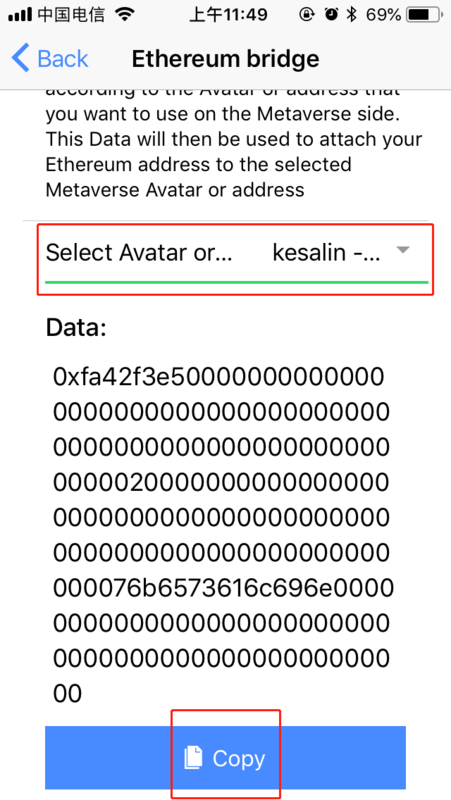 Click Advance options，paste the copied data to hex raw data field. The recipient address should be the address of binding ETP address contract：0xa52b0a032139e6303b86cfeb0bb9ae780a610354. 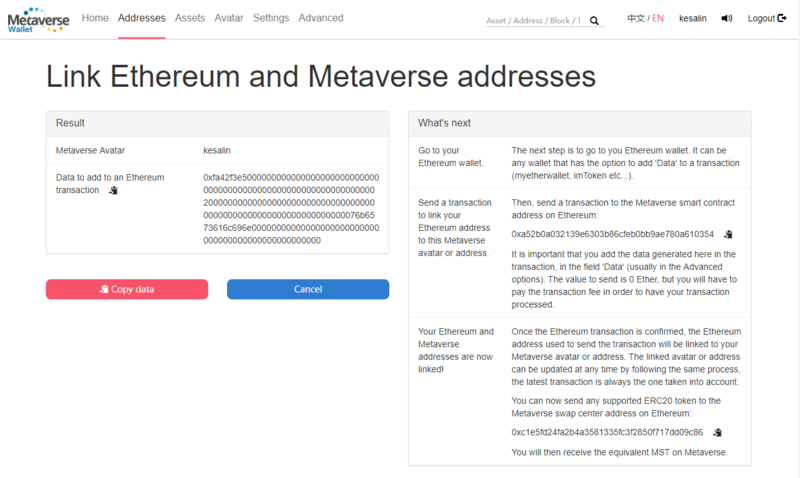 You can copy this address from Metaverse wallet. Then click Next to finish the transaction. 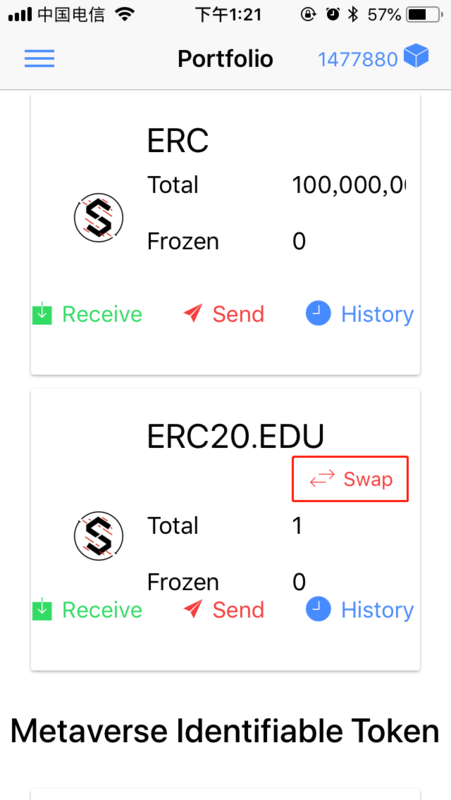 Open Ethereum wallet and choose the ERC20 token to be swapped and send them to the Ethereum address of ETP-Swap center: 0xc1e5fd24fa2b4a3581335fc3f2850f717dd09c86. Please be patient and wait for the token swap. It takes a little bit longer time to process transactions on two chains. 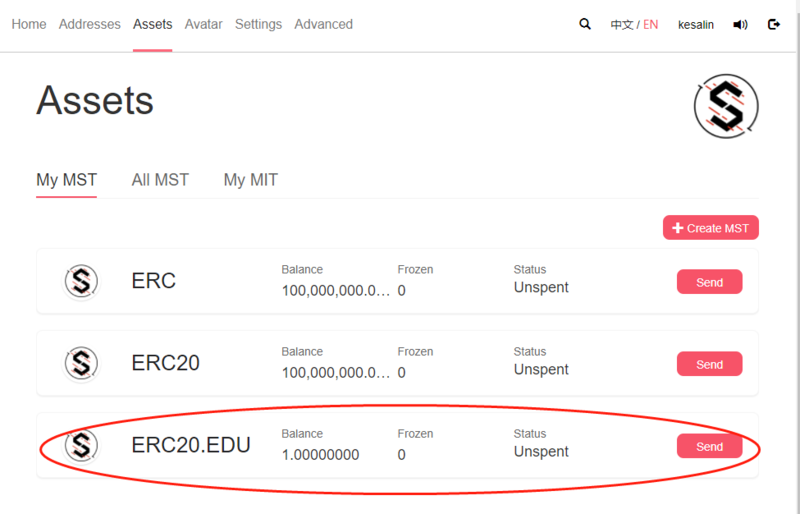 You could query the swapped MST assets in the myetpwallet or blockchain explorer and the name of this MST starts with ERC20. by default. 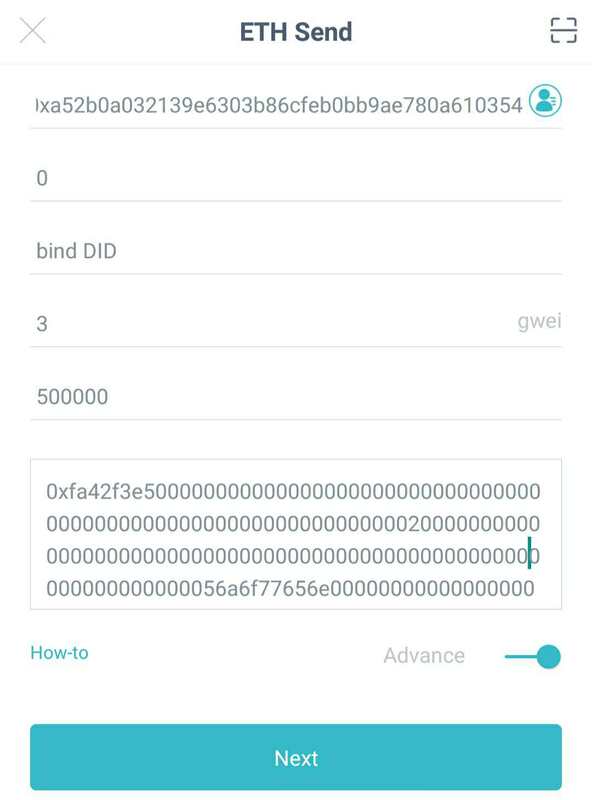 Fill the swap amount and the recipient Ethereum address. The fee of swaping token is 1 ETP. 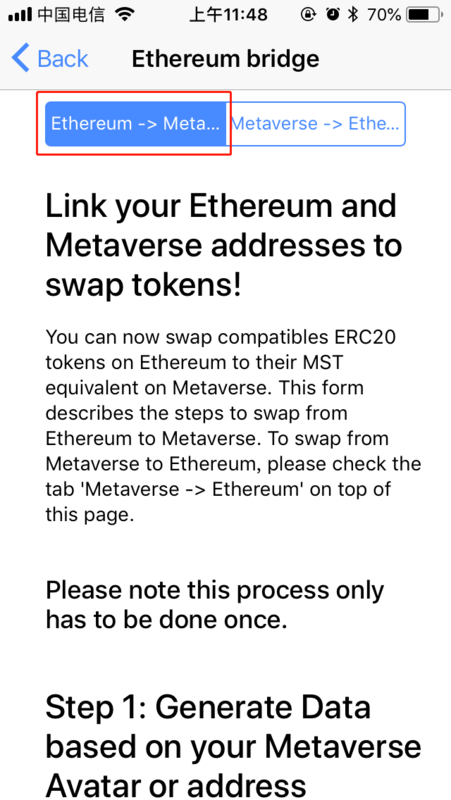 Choose I want to swap this MST to its ERC20 equivalent on the transfer page and fill the swap amount and the recipient Ethereum address. The fee of swaping token is 1 ETP. 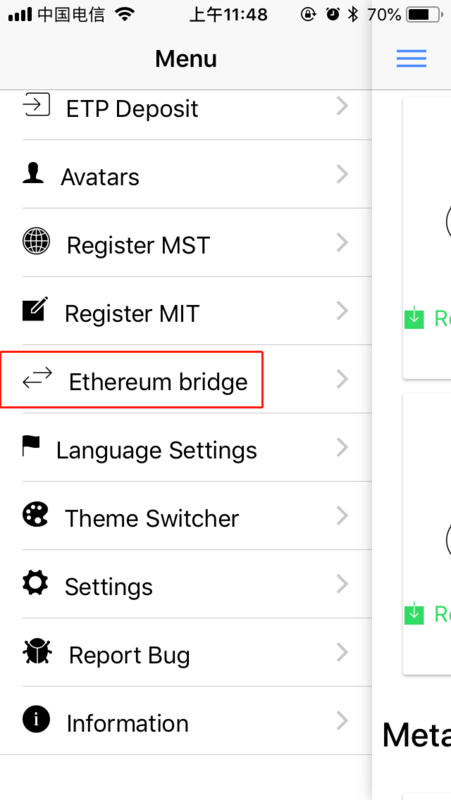 Open Ethereum wallet and send ETH to the Ethereum address of ETP-Swap center: 0xc1e5fd24fa2b4a3581335fc3f2850f717dd09c86. 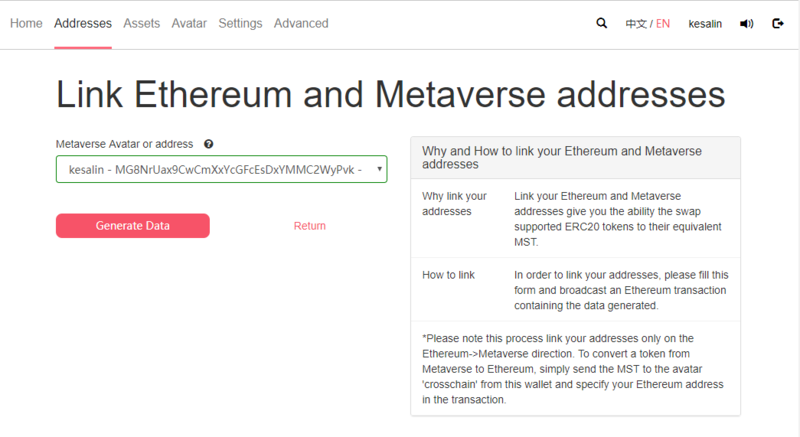 For now we support swap from Ethereum ETH to Metaverse ETP only. 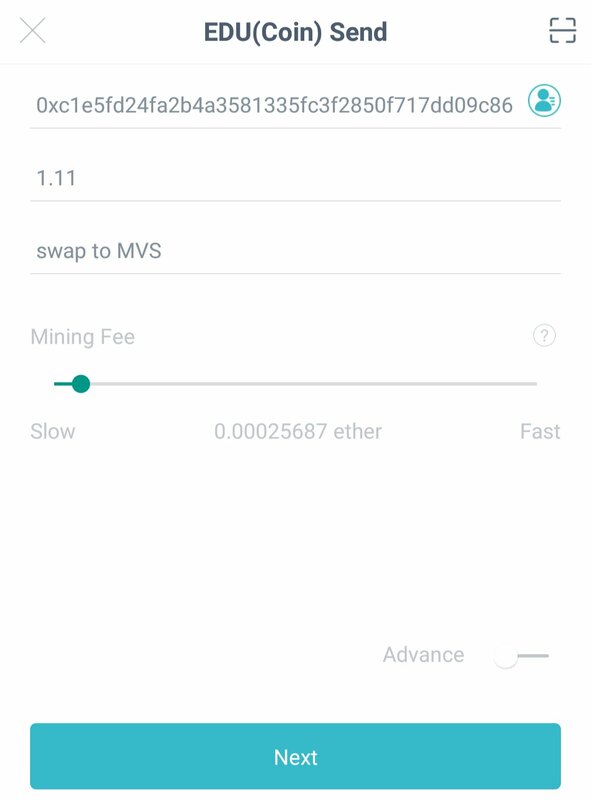 The maximum amount of ETH to be swapped each time is 20.